Audi Repair Chesterfield: Do You Need A Special Mechanic? Does Audi Repair Require A Special Mechanic? Hello dear reader, welcome back to the Kudos Import and Performance blog. 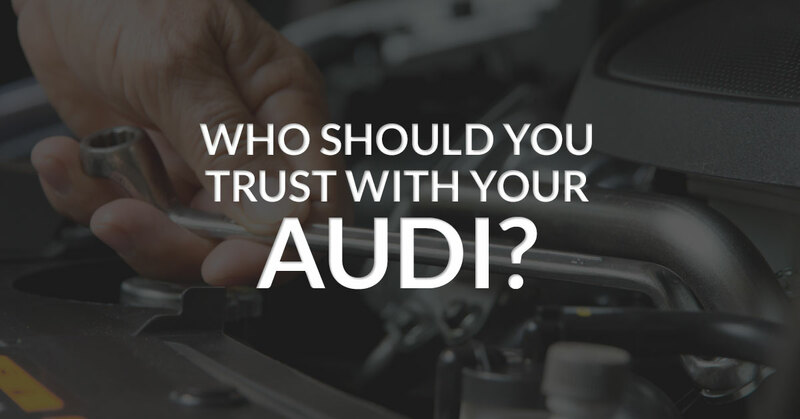 One of the most common questions that we receive at our shop is whether or not it truly makes a difference if an Audi owner brings their vehicle to an import auto mechanic or a regular mechanic. While we understand the logic behind this question (a car is a car right? ); we’re here to tell you that yes, it does make a difference. We want all of our Chesterfield area clients to understand why it is important to take their Audi or other import vehicle to the appropriate mechanics and, in today’s post, we are going to list some of the very real reasons why import auto mechanics are the only people who should touch your vehicle. Continue reading below to learn more. If you have an Audi, chances are that you have probably looked into many different auto repair shops to meet your vehicle maintenance needs. Audis are expensive vehicles, but for good reason. Audi’s workmanship and engineering are of the highest quality, and you rarely find an Audi owner that is not supremely satisfied with their vehicle. However, like all vehicles, Audi’s need maintenance and repairs every once in awhile to perform at their best. Below, we have listed a few reason why you should only trust these repair and maintenance calls to a trusted import auto mechanic, such as Kudos Import and Performance. Quality: When it comes to Audi repair, or any import vehicle repair for that matter, quality is an important factor to consider when choosing a repair shop. When it comes to your import vehicle, do you want someone who is an expert at repairing foreign cars, or do you want someone that spends most their time fixing Fords? When it comes to your Audi, the quality of the repair work is directly correlated to the quality of your mechanic. Don’t settle for less and risk the integrity of your vehicle. Efficiency: No matter what another auto shop may tell you, when it comes to import vehicles, things are a little bit different. Not only are import vehicles typically put together quite a bit differently than their domestic counterparts, they also often require specialized tools to even access parts of the vehicle that are not easy to get to. In an import vehicle repair shop, such as Kudos Import and Performance, the mechanics will be aware of these issues and will have the tools that they need to get the job done. Join us again next time as we continue to go over the reasons that you should only trust a reputable import auto mechanic for your Audi repair needs. If your Audi needs repairs, or you are the owner of another import vehicle that needs repairs, please set up an appointment today with our expert mechanics at Kudos Import and Repair. Our experts will ensure that your vehicle is in the best shape possible.